Hey everyone its Ashley again! 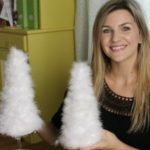 Melanie and I have been having fun crafting and enjoying our summer…. Can anyone say pool play dates?! I hope you are enjoying your summer as well! 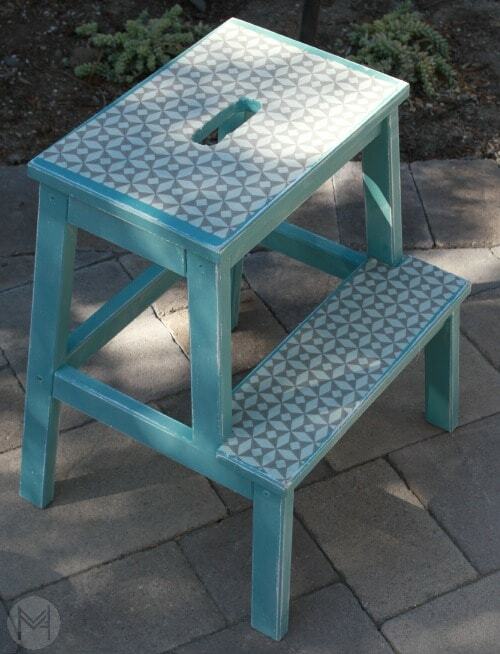 I wanted to share a little DIY project making a step stool from Ikea a little fun & fancy. Let’s get started! 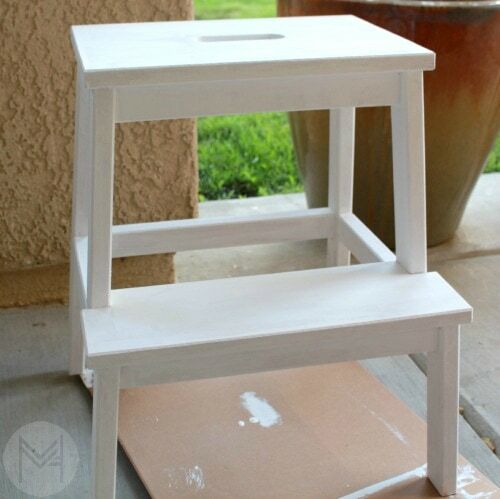 Step 1: I wanted to distress my stool so I painted it with one coat of white chalk paint that was leftover from another project. Once the first coat was dry I painted it with two coats of Annie Sloan Chalk Paint, Provence was the color. This paint was also leftover from a dresser redo I had done for my daughter’s room. Since my initial plan was for the stool to be used in her bathroom I wanted both pieces to have a similar look. 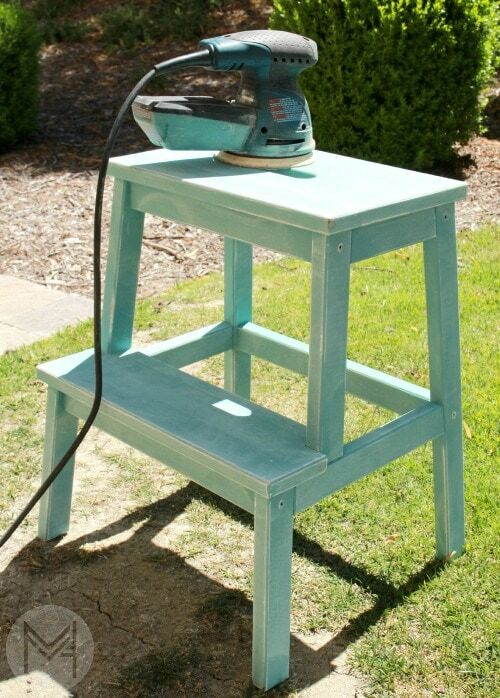 Step 2: Once the paint was completely dry I sanded the stool to look distressed/used. I used an orbital sander with 220 grit paper but you can also use any fine grit sandpaper and do it by hand. 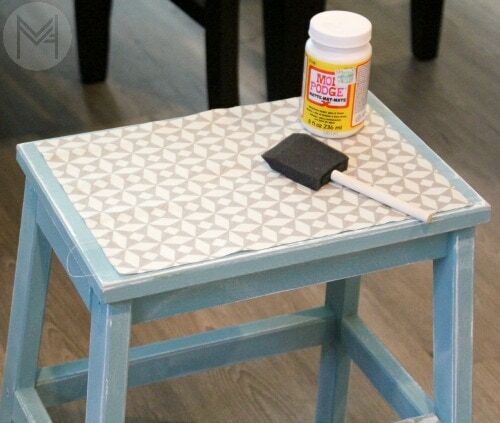 Step 4: Measure out or make a paper template for the fabric that you want to cover the stool in. 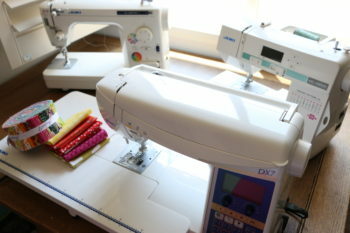 Measure and cut the fabric. I went into Melanie’s studio and raided some of her fabric, best friends are good for sharing in projects. Step 5: Coat the surface you want to cover with fabric in a thin coat of Mod Podge. Place the fabric on top. Next smooth out all the bubbles. 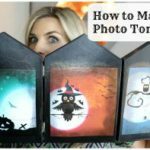 Once the fabric is placed where you want it apply a coat of Mod Podge over the top of the fabric. Step 6: Let dry completely. 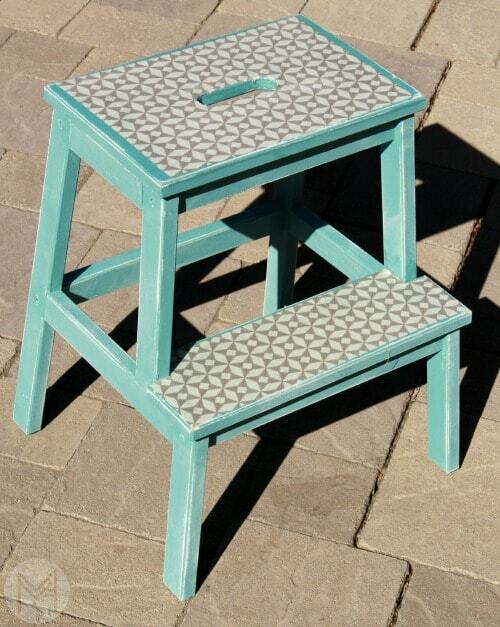 Step 7: Use this fun stool to add character to any room. 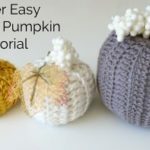 I hope you enjoy this project! 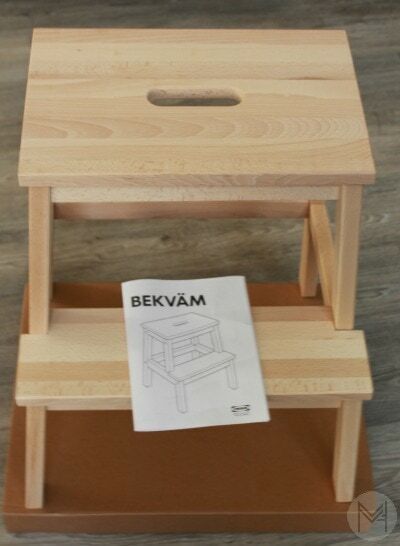 Initially, I was going to use this stool in my daughter’s bathroom but it also might be a fun addition to my kitchen to encourage a little helper to take part in meal preparation. We shall see where it finds a home. What do you think? 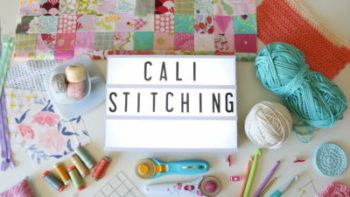 Leave me a comment with any summer DIY’s you have been doing! I’d love to hear what you are up to!